Need the best prices on all Samsung ML-3050 laser toner cartridges? Budget prices are assured with our company. With Cartridge Save, you do not need to spend time searching locally for the Samsung supplies your laser toner requires. For the best pricing with our award winning customer care, purchase from Cartridge Save! You can get satisfaction if you place an order for brand new Samsung ML3050 toner with us courtesy of the cast iron cashback policy. We'll make it easier to spend even less money on printer toner as every order comes with totally free delivery, which typically gets delivered with you the very following working day! 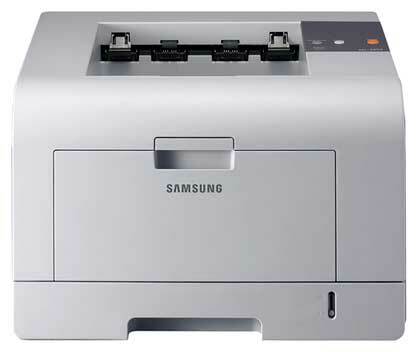 The good-value Samsung ML-3050 is a monochrome laser printer ideal for small workgroups and offices. Users can expect good quality output  better than other laser printers that cost more than the Samsung ML3050. This unit also has significantly quick speed and has a maximum resolution of 1200 x 1200 dpi. Despite its small size, this robust machine has a monthly duty cycle of 100,000 pages. The Samsung ML-3050 laser printer could be better with the addition of built-in networking connectivity. This small printer measures 15.7 x 17 x 11.2 inches and weighs 23. 4 lbs. It has indicator lights on the top along with the output tray and interfaces on the back. The Samsung ML-3050 mono laser printer is installed with 26 MB RAM, which can be expanded to 272 MB. Print speed can go as fast as 28 ppm and the Samsung ML-3050 printer can handle 550 sheets with the optional paper tray. The user-friendly Samsung ML-3050 black and white laser printer is compatible with Macintosh and Windows computers and it offers both parallel and USB interfaces. Users dont have to wait long to get their good quality output as the unit is quick. The ML-3050 mono printer is very affordable and can give good value for money. Additionally, the Samsung ML3050 high capacity black toner can produce up to 8,000 pages to help drive down running costs. There are a few features the Samsung ML 3050 lacks in order to make it more efficient, such as networking connectivity and a duplexer. The Ml-3050 Samsung monochrome laser printer has low paper handling capacity, and its consumables can be pricey.